UK's Environment Secretary Michael Gove said he "absolutely" backed Theresa May a day after several newspapers in the UK reported that ministers were plotting a coup against May to replace her with a caretaker leader. "I don't think that I have any wish to take over from the PM," he said. "I think (she) is doing a fantastic job. 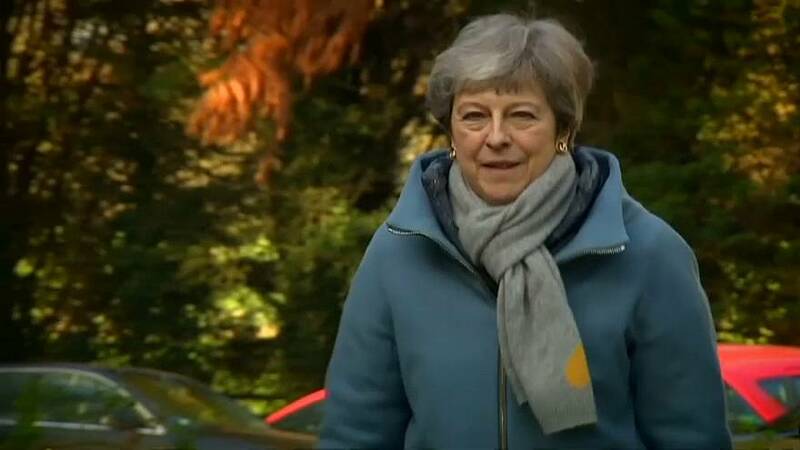 I tell you this, one thing that working closely with the prime minister does is cure you completely of any lingering shred of ambition to want to do that task. I have absolute admiration for the way she is going about it." Gove added that it was a time for "cool heads" to focus on getting her twice-rejected Brexit agreement approved by MPs. "I think it is not the time to change the captain of the ship, I think what we need to do is to chart the right course, and the prime minister has charted that right course by making sure that we have a deal that honours the referendum mandate," he said. "To be talking about changing the players on the board frankly is self-indulgent at this time," he said. "We have to decide how we want to proceed. Is it a no deal Brexit, which I think would be a catastrophe?. Is it No Brexit at all. which I think would massively undermine confidence in our political system? Or is it the Prime Minister's deal? And if not the Prime Minister's deal, some variant on it that parliament can agree to." The latest row about Conservative leadership comes ahead of a busy week in which May is likely to lose even more control of the Brexit process. MPs are due to have a number of indicative votes on possible alternatives to May's deal but these would not be binding. On Saturday a huge demonstration was held by people opposed to Brexit. Organisers said more than a million people were there. Campaigners waved European flags and placards called for a second referendum.